This is my dear friend James Wilson. This is what the train-man looked like except more Indian/clothed. There’s something about train travel that skewers me. It is the place where I am most constantly surprised by the flush of humanity. I spent most of this morning’s commute eyeing a very handsome, very smartly dressed Indian man who was leaning against one of the mid-carriage poles like a Calvin-Klein-underwear model. I presumed he would be launching himself at Martin Place due to his charcoal suit and sharp-white-shirt (isn’t it amazing how we make meaning so quickly, so meaninglessly? Suit jacket and shirt? Business. Suit jacket and pithy T-shirt? Advertising) and, indeed, he began to stir as we drew into the station. It wasn’t until the doors were beeping open that I chanced to look down at his feet. Surely we’ve hit humanity’s peak with these. 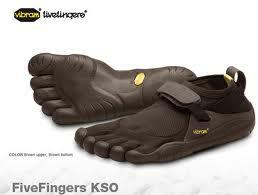 He was wearing a pair of Vibram FiveFingers shoes. “The main characteristic of this extraordinary shoe [is] the sole with five fingers made of Vibram® rubber, which, as a flexible glove, helps the natural articulation of the foot stimulating muscles of the lower limbs and therefore gives a higher sense of well-being to the whole body.” They forgot to add that it makes you look like a human/frog hybrid. The intense train-attraction that had been building since Redfern vanished in a shock-cloud. My Calvin Klein businessman was in fact a walking amphibian. Frog-man was preceded in the train-trip by a gaggle of old women who were heading for Town Hall. Although I don’t think ‘gaggle’ does this group justice (the allusion to geese is a little too patronising for comfort). Trawling through the list of collective nouns (is it even possible to have a rabble of butterflies? All I can picture is a group of young boys pulling their wings apart) I still cannot place the right word. I’ll put it on my to-do list. These women all must have been post-75. The extraordinary thing was the way in which they helped each other negotiate the still moving carriage versus their arthritic balance. Not once did their hands leave a supporting arm/pole. They helped each other along, heaved each other up the stairs and onto the platform. It was as though someone, pre-dawn, had strung a life-line through the carriage which was only visible to these beautiful old hands. They all grasped the same rope with their swollen knuckles and loose-ringed fingers. None of them were beaten down in this same way but I think they would all have sought plum-solace at some point in their more recent years.